Find out about TLC’s Social Skills Group! Social skills are targeted from the very beginning of a TLC Applied Behaviour Analysis (ABA) program. It starts with a child getting to know their therapist and watching the interactions between their therapist and the family members. Throughout the program, specific areas are targeted which are dependent on that child’s current skills. We begin to target social skills at home one on one with a therapist, then with siblings and cousins, eventually targeting these skills in a school setting. Early targets include eye contact, sharing and turn taking, moving on to answering social questions such as “what’s your name?” or “what do you like to play?” and role playing age appropriate social interactions. More complex conversations are practiced in a variety of ways to ensure retention and generalisation instead of rote learning. Non-vocal skills such as body language and emotion are also important skills to ensure successful social interactions. We also teach and practise appropriate social rules including stranger danger to help them make appropriate choices in their natural environment. Therapists can assist transitioning these skills by shadowing children in school settings to help a child make friends, understand social cues and instructions as well as how to conduct themselves appropriately around peers and teachers. This includes: who to hug and who to kiss, how to play with peers, sharing and when and where it is appropriate to touch peers such as on the shoulder or when playing a chasing game. As with all TLC programs, social skill lessons are custom designed to suit each particular client and their unique skill set. 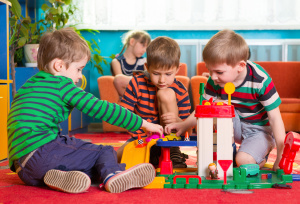 We practise the skills often and with a variety of people and environments, including role play and video modelling as well as engaging in play with siblings and supervised play dates.